October is one of my favorite times of the year for many reasons: harvest is in full-swing (or as much as we can this year between rains), it is sweatshirt weather, my birthday is at the end of the month, and it's National Pork Month. I have been raising pigs with my family and now my husband literally my entire life. I love sharing about our pigs and delicious ways to prepare pork. 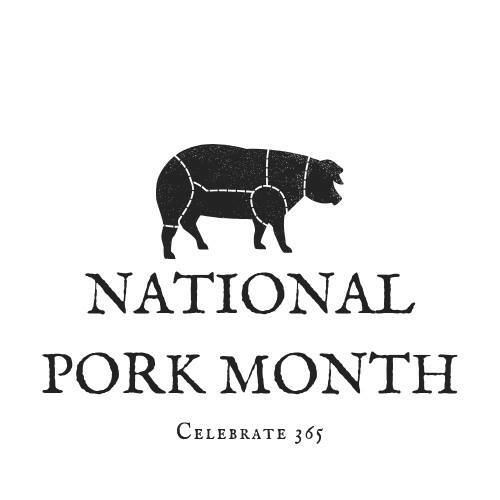 So in recognition of National Pork Month I joined forces with my Celebrate 365 co-hosts (Carlee from Cooking with Carlee, Ellen of Family Around the Table, Jan of The Tip Garden and Nicole of Tales of a Kansas Farm Mom) to host a Pork Recipe Blog Party! One of my favorite things about pork is that it is so versatile. You can use ground pork in anything, like this Fiesta Pork Soup I've been making since I was a teenager. You can grill, bake, pan fry or smoke pork chops. Pork loins are my go to for family gatherings. Also, I think we all can agree that bacon makes anything better. And don't forget ribs, ham, and everything in between that makes pork such a great protein. So now, I want to hear from you! What are your favorite pork recipes? Bloggers are welcome to link-up all of their pork posts. I can't wait to get inspired by all of your recipes! What's your favorite pork cut? Remember to Comment for a Cause and link up your best posts! A good pork chop is my favorite of all of the meats! The rest of my family is all about the bacon and butts. I love pork chops too! Raising our own pork, I bet we have pork chops 2-3 times a month. If they're cooked to 145 they'll be juicy and delicious, no matter how you prepare it! 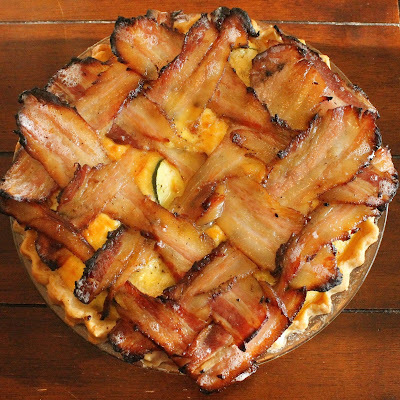 That bacon lattice quiche looks aaahhhmazing!!!! The Saratoga dashing season finds Breeders Cup 2018 Live Stream some conclusion this end of the week, with the feature race Saturday's Grade 1, $750,000 Woodward Stakes, the highlight of a hour and a half NBCSN broadcast that could incorporate steeds going ahead to the Breeders' Cup Classic. Be that as it may, Melbourne Cup 2018 since the northern half of the globe prepared stayers started focusing on the Melbourne Cup 25 years back, none have won with more than the 56½kg Germany's Protectionist carried in 2014. Actually, since Think Big won his second Melbourne Cup in 1975 under 58½kg, no champ of the Flemington two-miler has conveyed more than 57kg, except for the immense Makybe Diva when she finished her memorable Cup three-peat with 58kg out of 2005.